What are the Gift Vouchers Terms and Conditions? "This voucher entitles the holder to goods to the stated value, and may be redeemed to its face value on art or sculpture at Westover Gallery. This voucher cannot be exchanged for cash or redeemed for credit, it can only be exchanged for goods. It may be exchanged for goods of a higher price than the face value of the voucher, on payment of the difference. Gift voucher have an expiry date of one year from date of purchase. In the event any vouchers are lost or stolen, Westover Gallery shall not be liable for replacing or refunding the purchase price of vouchers and reserves the right to refuse damaged, incomplete, photocopied or defaced vouchers. No more than 99p can be given in change for purchases less than the full value of the voucher(s) offered." 'Atelier' collections are the embodiment of the finest in publishing, uniting the wonderful talents of our painters with quality printmaking. Each piece is completed under the direction of the artist and is accompanied with certification. The Atelier painting is recreated where texture and feel, oils and varnishes are applied to canvas to capture the essence of the artist's original work. These are all signed and the edition numbers are on the back of the work to create more of an original look. Where can I get more information about buying art? 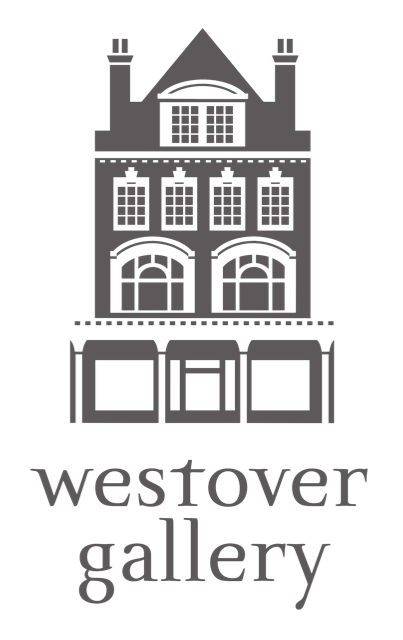 Westover Gallery has a team of skilled art consultants who are able to offer help and advice on buying a piece of art. This term originally came from black and white film, which is made with tiny platelets of silver called silver-halide Gelatin. The same silver-halide Gelatin is used in making all true black and white papers. Silver Gelatin prints are today a popular means of making black and white prints from negatives. They are papers coated with a layer of Gelatin which contains light sensitive silver salts. These prints have deep rich blacks and crisp whites and their archival properties are good. Every piece of limited edition art in the Castle Galleries portfolio is limited to a fixed number which protects its authenticity, value and scarcity. Your piece of limited edition art will be sequentially numbered and hand signed by the artist, typcally on the bottom right hand corner of the piece. This differentiates our limited editions from open edition prints - which are cheaper, mass-produced art or poster prints. Can I purchase a previously sold-out piece of art? Our art consultants are sometimes able to source rare or sold out prints. For more information, please contact us, or visit your local gallery. Limited edition art is a translation of an original piece of art. Westover Gallery has a team of highly-skilled atelier assistants that reproduce original pieces using hand-embellishment to create a limited edition piece of art which is very hard to distinguish from the piece of art it originated from. How is the authenticity of a piece proven? Westover Gallery is committed to protecting the integrity of each piece of art we sell. In order to guarantee the authenticity of our art, each piece is sold with a bespoke certificate and is signed by the artist. We advise exercising caution when buying a piece of art from a third-party source as these are not authenticated by Washington Green Fine Art. We have a wide portfolio of original art, but because it is highly sought after, each piece sells very quickly and so only a limited exhibit is available online. If you would like to enquire about original art, please contact us.